at Furzebrook Studios (52 Furzebrook road, Stoborough, BH20 5AX - near Wareham) during Purbeck Arts Weeks; May 25th to June 9th 2019. ​First show in ages, come and see her new work! 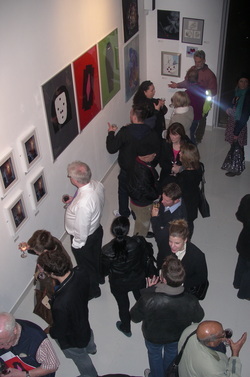 Red Revised, exhibition at Cultivate Gallery, Vyner street, London, March to April 2013. Yeastie Girls, exhibition at Cultivate Gallery, Vyner street, London, February to March 2013. Fans of Feminism, Cass Gallery, Whitechapel High Street, London E17 PF. 16th to 23rd February 2013. Windsor Street Gallery was a quality art market held on Peascod street. A joint project between Windsor Town Partnership and Windsor & Maidenhead Artist's Co-Operative, of which Fiona was Chair for 2 years. She participated in the first one in May 2012. Bucks Open Studios, Fiona opened her studio, in High Wycombe, between 9th and 24th June 2012. Click here for link.